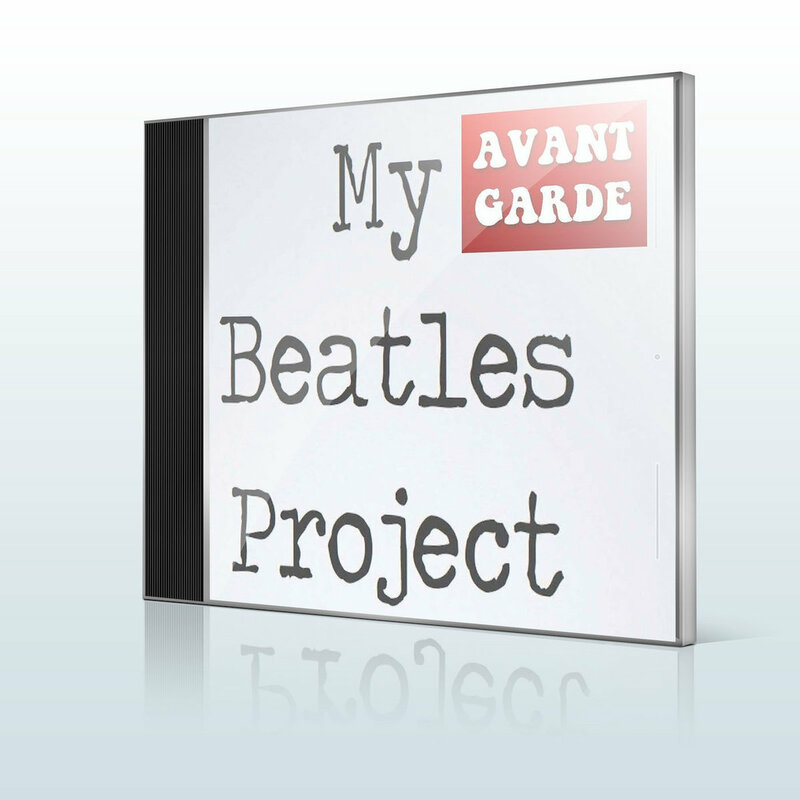 I'll include a free digital download of My Avant Garde Beatles Project. I’m writing all of this to say that my education was very unusual. The stories in my books began life on paper in the 70s. Written, stored and moved from place to place. They eventually became semi organized into paper notebooks, a Commodore 64 word processor, G4 PowerBook, iPad, iPhone and MacBook Pro. You Play The Drums? 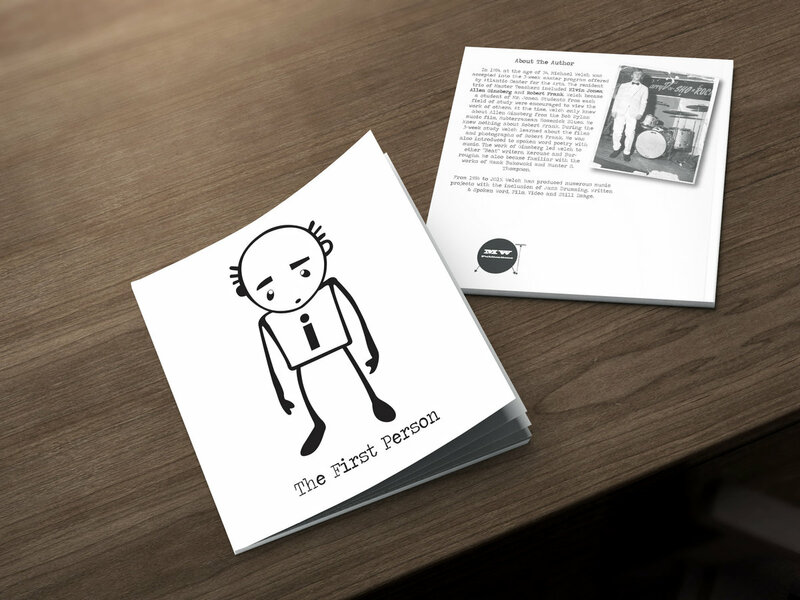 These stories are based on music experiences. 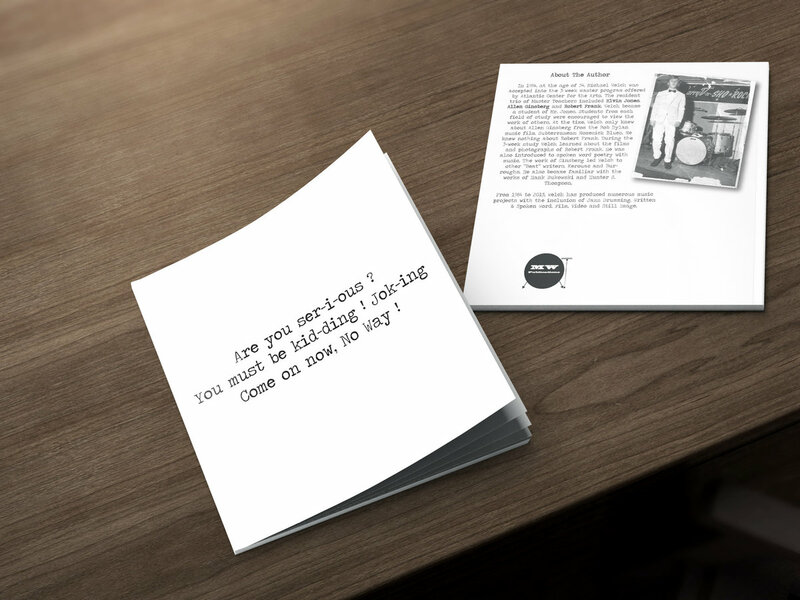 Written observations of gigs, the road, jazz, avant-garde, blues, people & places. 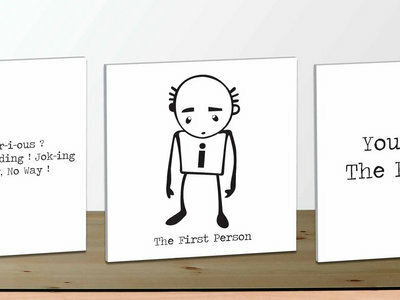 i the first person: Most of these stories start with the pronoun i, referring to myself. Are you ser-i-ous? You must be kid-ding! Jok-ing Come on now, No Way! These are the opposite of I The First Person. I attempt to alleviate the (I) from each story. Many of them written while drinking coffee in a mall, cafe or sitting on a park bench. The musician’s life. Playing gigs, travel, clubs, bands, relationships and all of those things musicians experience on their journey. My stories are much the same as other musicians. Reflections in the form of brief sentences and paragraphs. In 1984 - at the age of 34 - Michael Welch was accepted into the Masters Resident study program at the Atlantic Center for the Arts. He would study for 3-weeks with Jazz Drummer Elvin Jones. 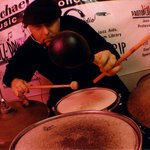 Known for his creative drumming in the John Coltrane Quartet. Also participating in the trio of master teachers was Allen Ginsberg and Robert Frank. The poet-writer Ginsberg was a leading figure of the BEAT GENERATION and author of HOWL. Robert Frank is notable for his 1958 book of photos called THE AMERICANS. He collaborated with Jack Kerouac as the cinematographer on the film PULL MY DAISY and filmed the Rolling Stones on tour in 1972 / an unreleased documentary. In 1984, Welch knew very little about Ginsberg or Frank, with the exception of recognizing Ginsberg from the 1965 Bob Dylan music film, Subterranean Homesick Blues. During this 3-week experience, Welch was introduced to spoken word poetry. He also became familiar with the black and white photographs of Robert Frank. Welch continued a hobby of photography and started research into “Beat” authors Jack Kerouac and William Burroughs. Hank Bukowski and Hunter S. Thompson were also discovered. In 1989 Welch began to shoot consumer video. The creation of Final Cut and Mac laptop editing would lead to his producing unreleased experimental shorts and other media projects. In 2001 Welch performed and produced a black & white short film shot in the JACK KEROUAC HOUSE. Using a vintage Arriflex 16 camera like Robert Frank, Welch performed several spoken word drum pieces in the house where Kerouac lived in 1957. From this historic Orlando/College Park house, Jack would take a bus to New York City for the release and review of ON THE ROAD. His life would change overnight. From 1984 to 2014, Welch produced a self-financed catalog of recorded music and multimedia for his Illegal Radio label. Music and mixed media of Jazz, Avant Garde, Improvisation, Blues, Spoken Word and more. From 2006 to 2010, Welch organized his 60s memories onto 4x6 spiral notebooks. 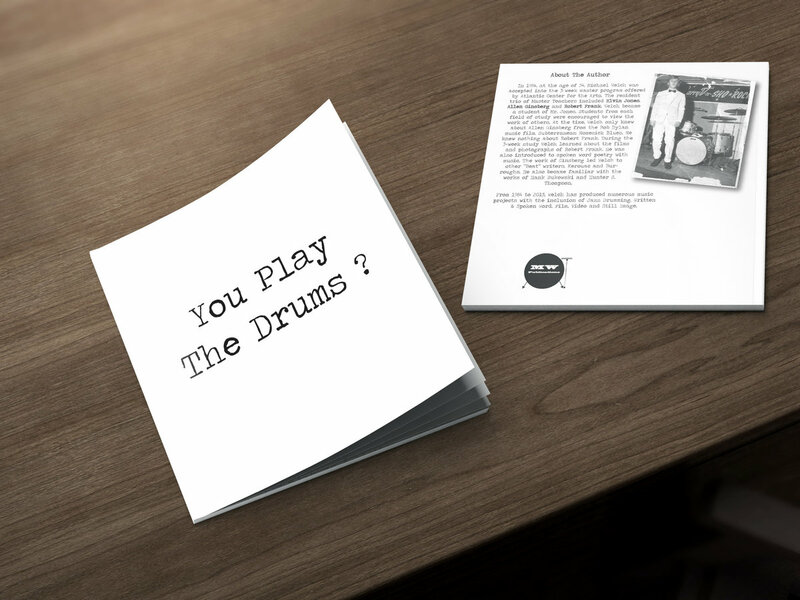 Notes of a Young Drummer 1966-1969 was published in 2013. 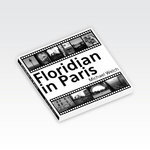 From 2013-2015, Welch authored another 5 books including the 2015 publication of his Robert Frank influenced FLORIDIAN IN PARIS. Black & White images of Paris 2006 and 2008. You Play The Drums ? 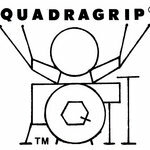 Documented memories & real experiences of life as a musician playing drums since 1967 at the age of 17. With the release of these books, Welch is at peace with his collective work in Drumming, Jazz, Avant Garde, Written & Spoken Word, Film, Still Image, Performed and Recorded Music. Michael Welch thanks the many talented musicians for the opportunity to create music on a variety of bandstands. Welch continues to author and produce his music curriculum called Young Mozart Music Station/Mrmikesmusicmats. Applying his research and classroom teaching of 8 years, 5 days a week. Authored into 10 books and materials to help educators; home school parents and childcare providers teach children age 2 years and up. Though his work is in music the curriculum teaches reading, spelling, math, numbers, geography, rhythm, memory & motor skills, logic, diction, coordination, writing, art, sound dynamics, notation and more. It’s educational and fun. Includes unlimited streaming of My Avant Garde Beatles Project via the free Bandcamp app, plus high-quality download in MP3, FLAC and more.